Cash for Cars Northwest is a trusted name in Portland. We offer the best cash for pre-owned cars Portland relies on. We make everything easy. Just give us a call and get a quote. That is the end of the heavy lifting on your end. 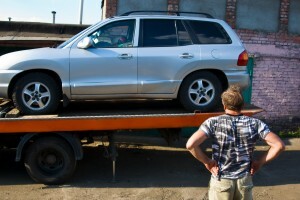 We come to you, pick up your car, hand you cash, and handle the towing and DMV paperwork for free. 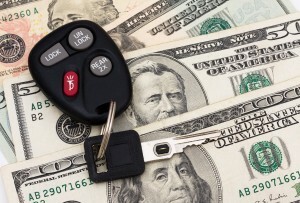 That all it takes to get top cash for pre-owned cars in Portland and the surrounding areas. We come to you and tow for free! Whether your vehicle is drivable or not, we come to you for your convenience. You get to skip the hassle of listing and selling your car! Placing an ad for your car on Craigslist or in other advertisements is a pain. You have to be available to show the car. You have to trust people you don’t know to test drive your car and possibly wait for their mechanic check it out. Even after all that, they still might not buy. Then there’s dealing with haggling! This could take days, weeks, even months for the whole process. Simplicity! We come to you, you sign some paperwork, we hand you money, and tow your vehicle away for free. It is that simple. Same-Day Cash! We stand by the quote we offer you over the phone. No bait-and-switching! You get actual, same-day cash handed to you. No dealing with the DMV! Our cash for pre-owned cars professionals process the paperwork for you. You won’t have to wait in line at the DMV or deal with transferring the title. No Pressure! When you call us, we offer you the best possible cash for pre-owned cars in Portland. We never give you a sales pitch along with it. We know we offer the best cash for pre-owned cars, so we even encourage you to call around. Cash for Any Pre-Owned Cars! We take any vehicle, no matter the age, make, model, or condition. We’ll take it even if it doesn’t run. Licensed and Bonded! We ensure your safety and peace of mind. While there are some disreputable cash for cars companies out there, we are verifiably not one of them. Excellent Customer Service! We believe in providing polite, trustworthy service you can count on. Our cash for pre-owned cars staff and professionals are friendly and knowledgeable. You can count on us to treat you as an appreciated part of our Portland community. When you need cash now, for any pre-owned car in any condition, give us a call. We encourage you to check around. You will find positive reviews for our services online, and we are confident you will not get more cash for pre-owned cars anywhere else in Portland. Contact us today for your cash for pre-owned cars Portland trusts to call first!